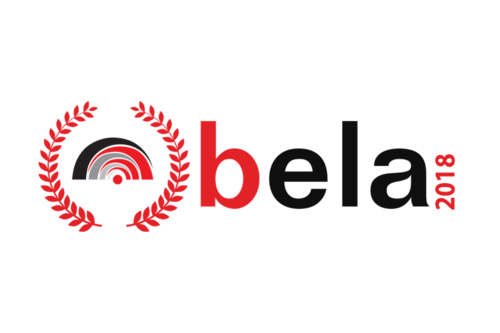 Adaptive Globalization is delighted to bring you your BELA 2018 winners! Being a services industry then saying “you're only as good as your team” is very relevant. We received many amazing submissions from companies worldwide in the Language Services and technology industry. Congratulations to all the winners and a huge thank you to all who entered. Below you will find a link to the BELA 2018 publication, allowing you to get to know our winners a little better. For our industry to continue its growth and continue to push the boundaries of communication across the planet, it is imperative that we attract talent from other sectors, inspire graduates to pursue careers in Language Services, and retain the fantastic global talent in this industry today. These awards recognize those LSPs who make it a priority to support their staff to achieve more than they thought possible. LSPs that ensures staff is provided with the right tools, platform, and environment to perform at the highest level and to provide an exceptional service for their clients. The awards acknowledge those that provide a continuous opportunity for learning and development, that creates a stable and secure work atmosphere where the wellbeing of staff comes first. We are lucky to be working in such an attractive, diverse, multicultural, exciting and fast growing industry. But as employers, we must ensure that we also offer excellent working environments and opportunity to allow us to attract and retain the best talent. This will enable us to continue pushing the industry to new levels. It is Adaptive Globalization’s goal over the coming years to promote Translation and Localization as a great industry in which to have a career. Recognizing and promoting top employers in the industry will be at the heart of doing this. You can see the full list of winners and read the magazine here.